While going through my old stuff, I've come across a pile of old brochures from years and years ago. I'm not sure what to do with them, so here they are- scanned in as best as I was able with my Epson V33 flatbed scanner. 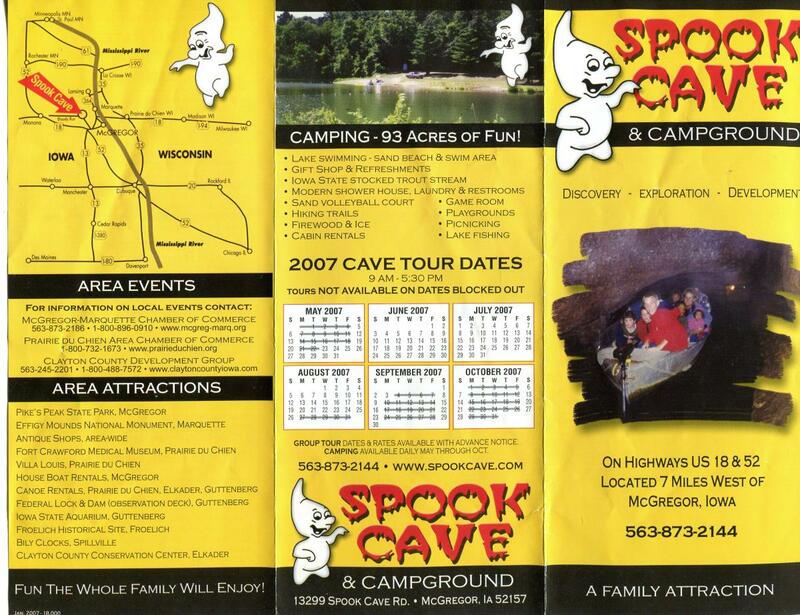 Todays entry is the Spook Cave Campground, a boat tour of a cave and a campground. 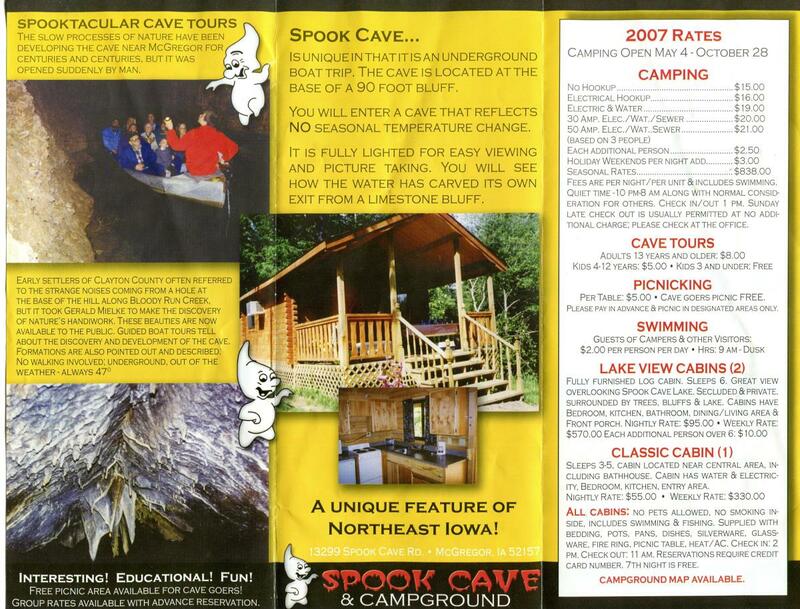 The brochure was picked up in the summer of 2007. 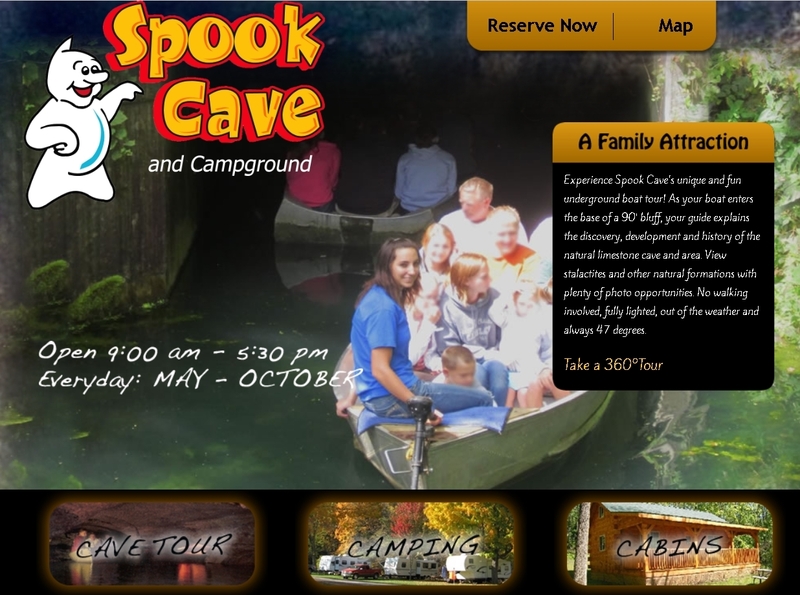 The Spook Cave has since updated it's ghost, but the tours are still on according to their website.